Some vehicle manufacturers now make as many major announcements at the Las Vegas convention as they do at key motor industry events such as the Detroit Motor Show. This year, Nissan, Ford, Mercedes, Audi and Hyundai are among the firms with a large presence in the convention centre halls. Many of the vehicles on display at CES are only concept design and still some years from existence – if they even make it that far. But technologies such as artificial intelligence and voice-controlled virtual assistants are no longer just for smartphones, with cars and other vehicles looking to reap the benefits as well. 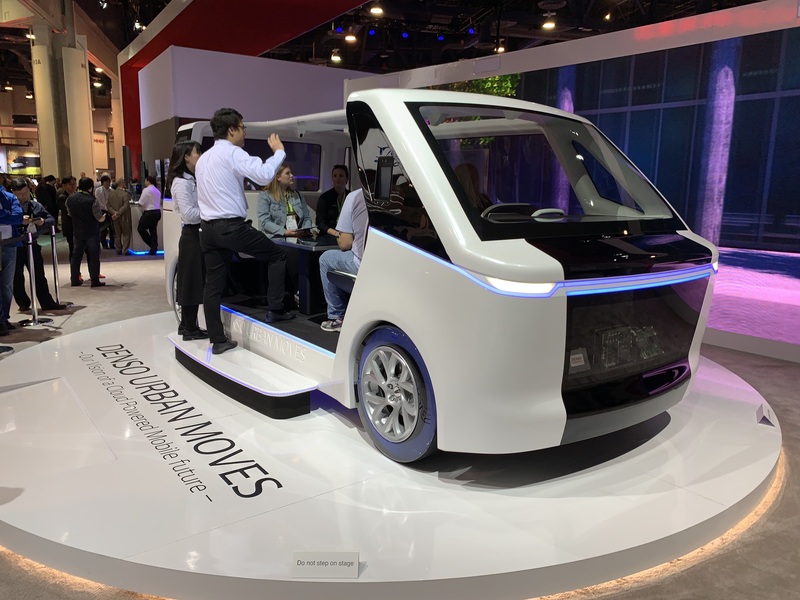 One such design is the Denso Urban Moves concept vehicle. Laid out like a mobile office or meeting space, it also has connectivity options to help passengers work on the move. 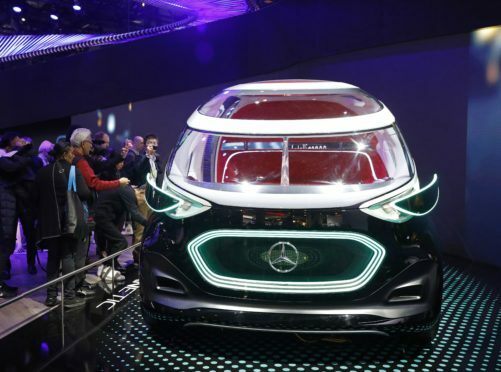 In a similar vein, car giant Mercedes is showcasing its Vision Urbanetic, a concept autonomous vehicle designed for urban areas, offering on-demand transport for both people and goods. Among prominent manufacturers at the show is start-up Byton and its M-Byte concept electric car. The all-screen dashboard and the Driver Tablet built into the steering wheel can be controlled by voice commands as well as gesture controls. However, the decision to place a screen in the steering wheel has been questioned on safety grounds by some. Industry analyst Geoff Blaber, of CCS Insight, called it “the most gloriously ill-considered design decision” he had seen at the show. As well as whole vehicles themselves, some firms now use the event to demonstrate operating systems being developed inside them. Kia’s Real-time Emotion Adaptive Driving (READ) system is one such example. 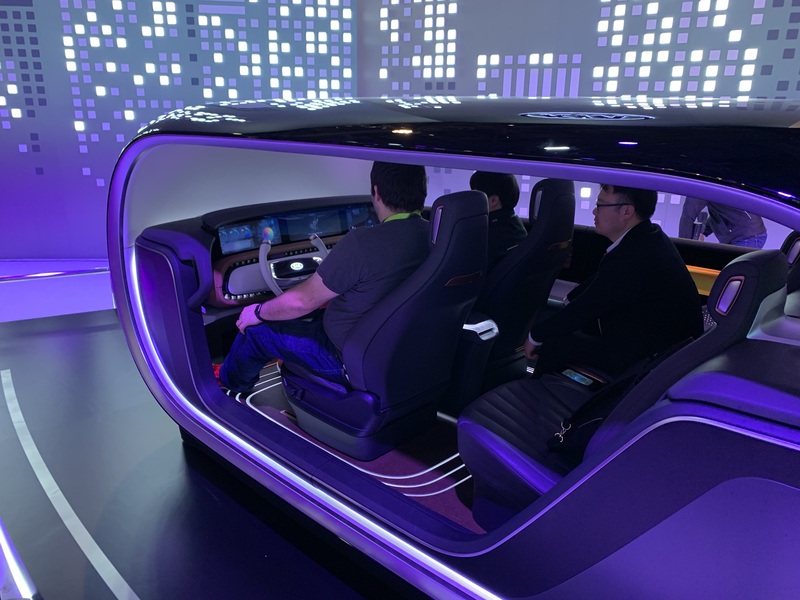 It uses artificial intelligence and signal recognition technology to monitor a driver’s emotional state and alter the driving cabin’s setting to create a more joyful driving experience. Because CES is also about outlandish gadgetry, the Furrion Adonis, a 78ft luxury smart yacht can be found among the smart vehicles too. 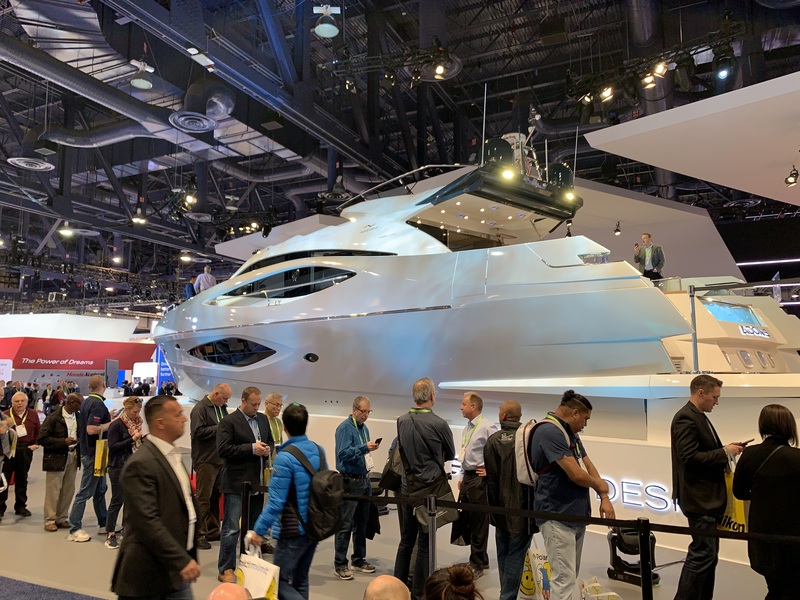 The yacht includes a virtual concierge called Angel which can be used to give news and weather updates, as well as order food from the full chef’s kitchen and control music playlists.